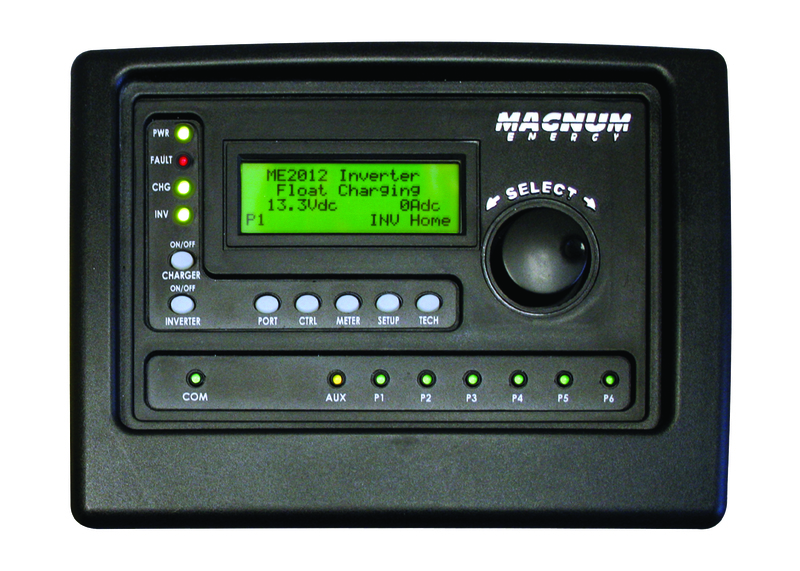 Quickly and easily connect multiple inverter/chargers, charge controllers, and accessories without individual programming using the Magnum Energy ME-ARTR Router. This advanced router is designed to provide system-level connectivity and programming for large Magnum Energy installations. One ME-ARTR can accommodate up to four MS-PAE or MS-PE inverter/chargers in parallel and program up to seven PT-100 solar charge controllers at once. The advanced router can also handle two ME-AGS modules, multiple ME-BMK monitors, and one ME-ARC or ME-RC remote. NOTE: The ME-RTR Router has been replaced by this model, the ME-ARTR Advanced Router. Visit our Documents section if you're looking for the ME-RTR Owner's Manual.